A Green Mushroom: The Flash Season 2 Caught Up! 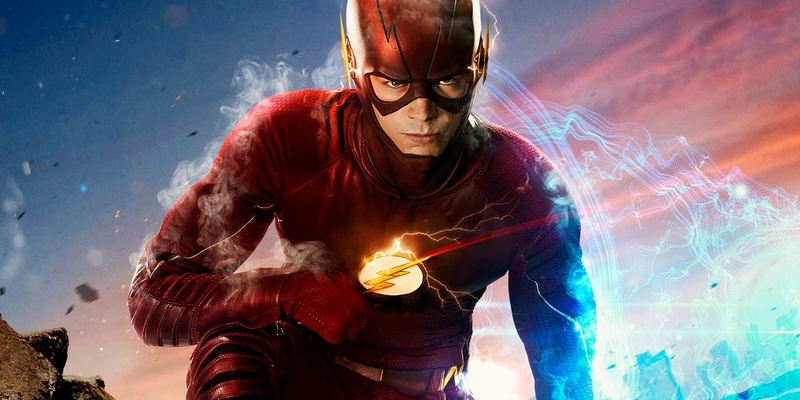 After blasting through the first season of The Flash I was hooked and jumped immediately into season 2. The second season is still ongoing so it's caught in that weird spot between Hulu/Netflix streaming services. But I was able to catch up on all the currently aired episodes and now I can start watching it week to week just like everyone else. Honestly, the second season took longer to hook me than the first. The premise of the show takes a shift when a bunch of breaches are opened in Central City that link it to an alternate version of Earth that team Flash quickly names "Earth 2." For the first five or six episodes the multi-dimensional plotline feels really forced. It seems like a way to just keep shoving the same characters and situations back into our faces even if they had been neatly wrapped up in season 1. But, around episode six or seven it finds it's feet and once again I was hooked. Now I want to know more about Earth 2 and I really want to see how this season will wrap up. The mid-season detour into a crossover episode was pretty cool too. I've never watched Arrow, but the main characters from it have made some fun guest appearances in The Flash a few times. In Legends of Today and Legends of Yesterday they truly cross over in what turns out to be an origin story for Hawk Girl. I had never heard of her and had to look her up which I suppose is bound to happen since I don't know DC superheroes that much. I do know they recently launched another spin off show called Legends of Tomorrow so I'm assuming these two episodes tied into it. It was interesting in that the first episode was an episode of The Flash but the second episode was actually an episode of Arrow. We're approaching the end of the season of The Flash but we're not there yet. The premise is fully formed while the characters and situations are all set up. Now all that's left is to start bringing them all together towards a season conclusion. If they do it as well as they did in season one it should be a good time.